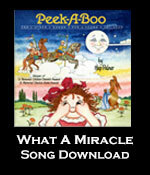 This song is also available on Hap Palmer’s Peek-a-Boo CD & Walter the Watzing Worm. Instrumental Track is also sold on Hap Palmer's Sing Along Instrumental Tracks. Spanish version is available on Hap Palmer's Divirtámonos aprendiendo.